In my opinion, any which way you make a s’more, is fine with me. I don’t think it’s possible to mess up the classic recipe which contains only three ingredients. Graham crackers, toasted marshmallows and chocolate candy bars. Adding a smear of Nutella in place of the Hershey’s chocolate bar, √. 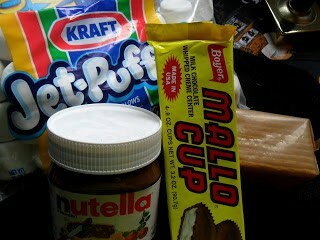 Replacing the Hershey’s chocolate bar with a mallo cup, √. Give these new and improved s’more recipes a try and see what you think! 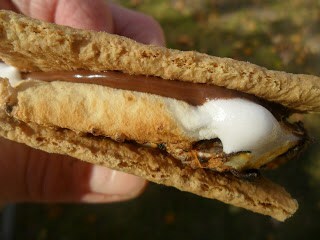 Nothing screams summer like the much loved s’more which is said to be invented by the Girl Scouts. The first recipe for “Some Mores” was published in a book called: Tramping and Training in 1927. The classic treats are a must have on any camping trip. 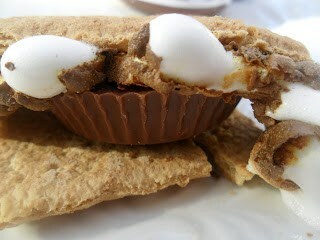 Nutella and mallo cup s’mores are a new twist on that old classic. Another fun alternative to try, Reese’s peanut butter cups instead of a Hershey’s chocolate bar. Fall Has Arrived on Green Lake making it the perfect time of year to head outdoors, sit by the campfire and make s’mores!! 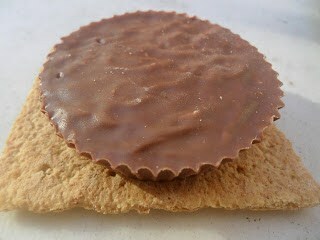 Unwrap mallo cup, remove paper liner, place on one graham cracker square. 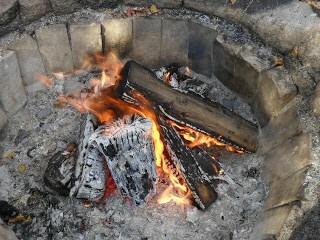 Put marshmallows (2) on wooden stick, toast over a campfire until golden brown. Place toasted marshmallows on top of mallo cup. Place the other graham cracker square over hot marshmallows. Take a graham cracker square. Spread Nutella thickly on graham cracker square. Put marshmallows (2) on wooden stick. Toast over a campfire until golden brown. 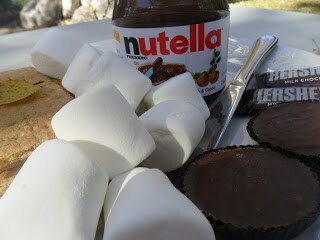 Place toasted marshmallows on top of Nutella. Place the other graham cracker square on top of toasted marshmallows. Place 3 small squares Hershey’s candy bars on graham cracker square. Place toasted marshmallows on top of candy bars. Two classic dessert recipes that will bake your day! Nanaimo Bars and Bavarian Apple Torte.